We all carry a piece of the puzzle. If we come together, we can piece together the puzzle that was scattered by colonization. There is no such thing as No culture, story, or language. It’s not lost; it’s out there, and everyone has a piece of it. In seeking the knowledge of Indigenous Midwifery, I ask this...First offer tobacco, sage, cedar, sweet grass, or corn pollen in exchange for the knowing that will come. The legacy of this matriarch, whether in our thoughts or in physical form, is sacred knowledge. Acknowledging and humbling ourselves to ask for what we do not know, is a journey worth honoring. The seeds of knowledge that is Indigenous Midwifery, are planted deep in the wombs of our nations. No one person carries all the seeds, rather we are all seed carrierers of this sacredness. Her spirit is called on again and again in matriarchal sharing spaces. In our sharing-we breath her into being when we sit together supporting one another through childbirth, motherhood, and coming of age ceremonies, all marked by transformation. It is no secret that some of us, born into new communities and different territories do not know the Indigenous Midwife in ourselves and seek a pathway to know her again. It is through knowing our matriarchal mothers like White Shell Woman, Spider Woman, Childbirth Water Woman, and many more who lead us to know this feminine knowledge in ourselves. Through lifetimes of transformation she is reborn in us and it is this knowledge that will be shared here. Many of our ceremonies of creation talk about how sacred our breath is. To breath into being-our people say we have the power to do this. To make our thoughts into reality. To turn our thoughts into a physical form. Indigenous midwifery works with this sacred breath of life. Bringing forth plant medicine families to heal, whispering the songs that heal to us in our dreams, and for some helping us manifest her knowledge into our skilled hands to help our nations birth new life. In our stories, she had many names-umbilical cord cutter and baby medicine woman. Each Indigenous society had a different name for her. In some societies, she did not take physical form, rather each woman was responsible for knowing her in themselves and birthed on their own. In other societies, she was a community medicine woman and healer. She traversed between the spiritual realms to assist with life and death in communities. She understood and respected the line that all women walked when bringing a child spirit forth from one world to the next. Undertaking the journey to learn about her in our ancestral linages, is like unraveling a history hidden to us by years of colonization that displaced are matriarchal knowledge systems. Indigenous midwifery comes to us all in different ways, so I would like to first share the history of one Indigenous midwife. Reclaiming this knowledge for ourselves comes out of the need to heal our communities and to serve our people, as our ancestors did. By sharing our collective knowledge, we are all reconstructing our roles in our communities, reconstructing frameworks that reflect our methodologies. We have seen how intellectualism, over the centuries, was used to validate and legitimize reproductive knowledge and displace us from our place in our communities. 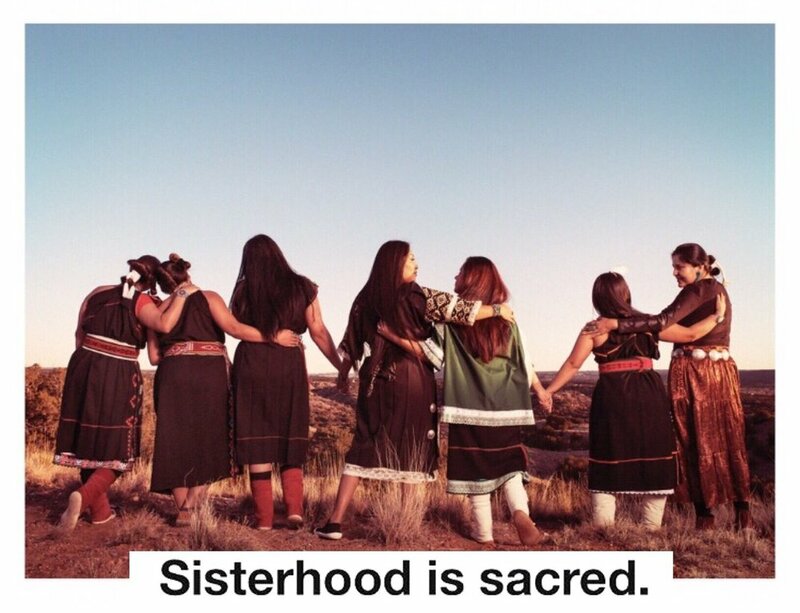 Examining the process of elimination of our native teachings around puberty rites, birth, and motherhood is where many of us begin the journey of reclaiming our place in our communities. It is here our work begins.